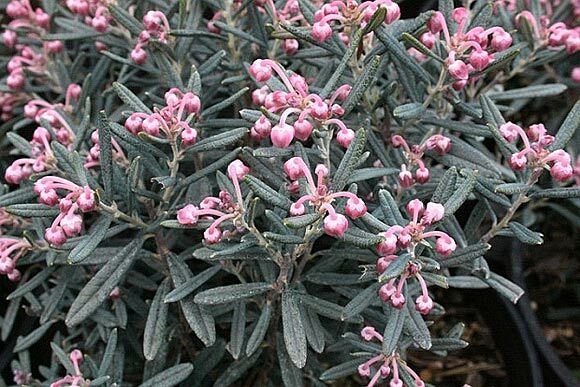 This slow-growing evergreen shrub features clouds of arresting, light pink flowers in spring, followed by light brown seed capsules, both of which contrast beautifully with the splays of narrow, blue-green leaves. The seed capsules dissipate during summer, when the bluish hue of the foliage really stands out. Native to a large area of North America, Andromeda is seeing more exposure in the nursery trade and deserves consideration in your landscape. 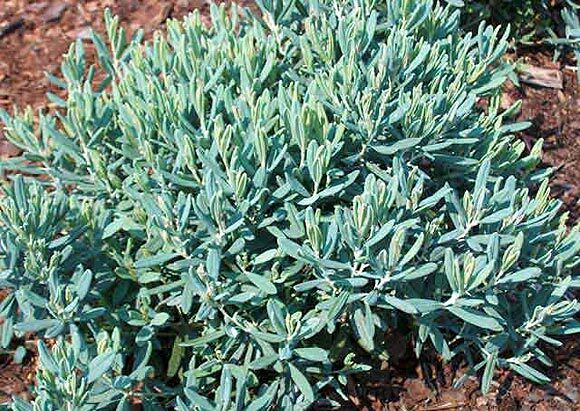 Think of it as a useful, non-conventional shrub groundcover. Plants grow to fourteen inches high with a blousy, erratic spread to about three feet. Though plants tolerate full sun, they don’t like high humidity or too hot an area, so a respite from intense midday sun is advised in Zones 5 & 6. Experiment with placement, as in the right soil, they will do well in part shade/dappled shade. Planting one here and there works, though I like to see them planted in swaths and groupings of at least five plants. A mass planting – where you want to get artistic and create a carpet around a tree – can be very cool. They work well near the front of the shrub or perennial border, where the spring bloom can be readily seen. Also ideal for the bog garden, higher-light woodland garden, water feature, or popped into an area of boulder outcroppings. Plants prefer moist, cool, acidic soil, so you will need to plant in amended soil containing ample peat moss, or perhaps soil sulfur, if your natural pH is neutral or higher. They will thrive in truly acidic soil in a pH range of 5.0 to 6.5. Mulch plants well. A part sun exposure and soil that is amended with ample amounts of organic matter will create conditions where the plants don’t dry out between regular watering. This is a true bog plant, so of course it flourishes in low-lying, moist areas of you property, assuming soil is acidic. Hardy in Zones 2-6, so take note, northern Canadian renegades.